You probably want to know what an art blogger and lover does in her two weeks vacation. Well, it is perfectly doable to avoid art for two weeks: I just did - kind of. I saw a lot of animals instead. I visited my sister who lives in Tanzania, a country where the hakuna matata philosophy flourishes together with a rich wildlife. Hakuna matata or not, I was almost eaten by a group of lions (tip: keep the car window closed) and also the hippos lingered dangerously in the pond. But in the end it was a tiny ant that got at me and it did so not in the savanna but at the Infiniti swimming pool in Zanzibar. The creature stung me in my leg and left a big poisonous red spot of 30 centimeters width. I thought I was gonna die right there. But yup, I survived! The only other health issue I had on my vacation was that for the very first time I got terribly sea sick. It happened on the ferry from Zanzibar (tip: take the ferry in the morning when the sea is less wild). Okay, admitted, for an art lover it is hard to avoid art even on vacation. 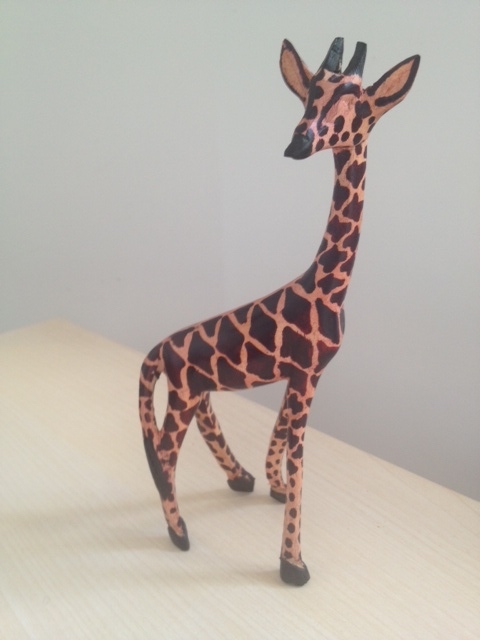 As a tourist, of course I ended up buying a cute wooden giraffe in a road shop. Then I shopped some more at the Tingatinga art market in Dar El Salaam. And in Zanzibar I came upon the beautiful cushion covers made by the women collective SASIK. 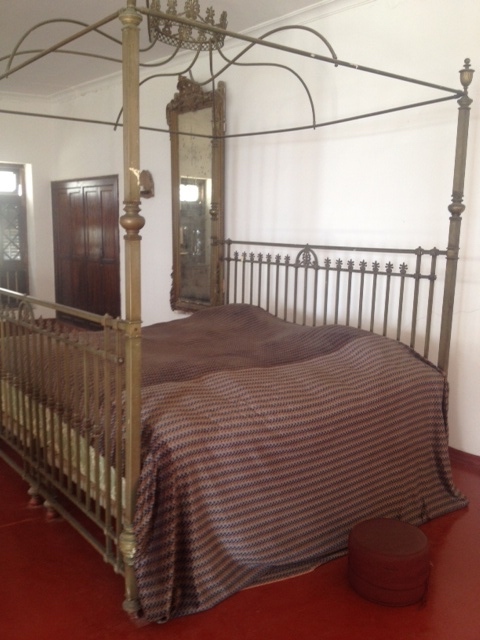 In Stonetown I admired the clocks collected by the sultans in their Sultan Palace, accompanied by a sultan size mirror and a sultan size bed (which is bigger than king size). It’s always interesting to see where people slept, isn't it. In the same Palace they reconstructed the bedroom of Sayyida Salme, daughter of Sultan Said and author of Memoirs of an Arabian Princess from Zanzibar. For an art blogger, it's also very hard to stay offline. So I discovered a few fellow bloggers in Dar El Salaam - Elsie Eyakuze writes about Tanzania, feminism and culture, and the artist Miguel Costales posts his painterly impressions of Tanzanian life. Yes, blogging even defined my vacation literature - I read the great novel Americanah by Chimamanda Ngozi Adichie, which is about a Nigerian blogger in the USA. Exploring Tanzania online, I also came upon this East-African online TV called NewzBeat, run by young hiphop activists who want to change the way news is created and consumed by rapping it. Yo! Vacation brought me back home even before hitting Berlin soil. Not only because the above mentioned Syyida Salme was a princess who fled to Germany. But also because of the slave market in Stonetown, where slavery existed until 1907, just a century ago. I visited the basement where slaves were kept before being auctioned and this narrow space, without light and air, has a most oppressive atmosphere ever. Outside the Scandanavian artist Clara Sörnäs created life-size statues of slaves bearing original chains. Our guide showed us a map of the triangle that marked the slave trade: Africa - America - Europe. It is a triangle that still affects nowadays society. Take Berlin as an example. On August 8 a guided tour will be organised by Berlin Postkolonial at the M*straße in Berlin - a street name that, quite unbelievably, is still being used not only because in our society it's largely ignored how language can harm, but also because it deals with a history that Germany likes to deny: its very own participation in the transatlantic slave trade, visualised on that map in Stonetown.